Roshan Giri, the fugitive leader of the Gorkha Jan Mukti Morcha’s Bimal Gurung camp, has welcomed a statement made by Chief Minister Mamata Banerjee on Gorkhas’ identity and on looking for a permanent solution to the Hill problem. In a press statement he issued in the group’s social media group, Mr Giri further said his faction was ready to hold talks and discussions on the matter. He was referring to Miss Banerjee’s statement she made at Chowrasta during her last visit here last month. “I have welcomed the statement made by West Bengal Chief Minister Mamata Banerjee on the 23rd of January 2019 in Darjeeling, and thanked her for highlighting the need to safeguard the Gorkha identity, and her willingness to work towards finding a permanent solution to the long pending demand of our people,” said Mr Giri. “I have sent her a letter extending our wholehearted support to any such initiative aimed at resolving the long pending demands of our people, and I have assured the Chief Minister of our willingness to join any talks and discussions regarding the same,” he added. The release further stated that this realization and acknowledgement by the Bengal Chief Minister that the current status of “our community” and the current administrative setup in the form of the Gorkhaland Territorial Administration has not been able to fulfill the aspirations of the people from our region was welcomed. “The demand for formation of a separate administrative unit comprising Darjeeling, Terai and Dooars originally raised by the Hillmen’s Association in 1907 is one of the oldest in India. Since then, this demand has been raised in many forms and forums. The popular agitations of 1986-88, 2007-11, 2013, and 2017-19 for a separate state are testament to the fact that stop-gap measures in the form of semiautonomous bodies like Darjeeling Gorkha Hill Council and GTA will never fulfill the aspirations of our people,” said Mr Giri. Meanwhile, as political observers and leaders in the Hills reacted to the statement issued by Roshan Giri, a senior BJP leader claimed that it was a “masterstroke” from another fugitive leader, Bimal Gurung. One observer said Mr Giri’s move is something made out of sheer desperation. “They want to come back to the Hills from their undisclosed places and lead a normal life by taking the chief minister into confidence,” the observer said. Mr Giri said that he had sent a letter to Miss Banerjee, welcoming her statements and that they were ready to sit for talks on the same further. Meanwhile, the spokesperson for the Binoy Tamang faction of the Morcha, Suraj Sharma, too said the Bimal Gurung camp wrote the letter to the CM for their own survival. “By writing to the CM, they are further showing that they have lost hopes on the (BJP-led) Centre,” Mr Sharma said. “People in the rural belt still have faith in Bimal Gurung as he fought against the state for people’s aspirations and he has not yet sold off like other Hill leaders by dropping the demand for a separate state and sacrifice,” he added. Yet another section of the populace in the region was taken aback after they learnt of Mr Giri’s stance. “I was listening to a report where it said (Union Home Minister) Rajnath Singh wanted to talk to Trinamul Congress on some issues in Bengal. It may be that Mr Singh has suggested them to write such a letter (to the CM) to revive old relations so that tripartite talks can be started in the future, in response to the chief minister’s decision to review the GTA pact,” a senior political leader said, on condition of anonymity. “Both the Gorkha National Liberation Front (GNLF) and the Binoy Tamang faction of the Morcha are in no position to support the Trinamul Congress directly, given the present sentiment of the Hill people. 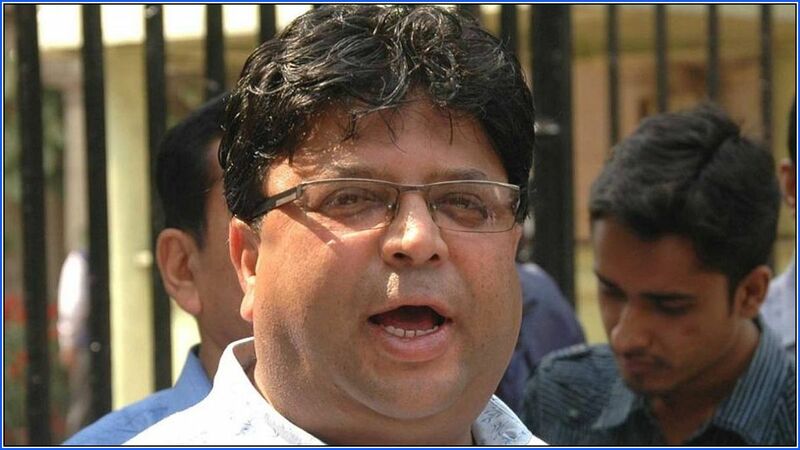 As a result, they are in search of an excuse to extend support to the Trinamul Congress,” he added. According to him, having lost faith in the Centre, “just after watching the Union budget, in which there is nothing for the Hill people,” Roshan Giri “may have expressed his views by supporting the chief minister and made it a tool to bargain with the Centre, as the Parliament session continues next week,” he said. However, brushing aside all speculations, a senior BJP leader claimed that Mr Giri’s move was a “masterstroke from Bimal Gurung that was meant to unnerve the Binoy Tamang camp” of the Morcha. “There is a deep and significant meaning in every sentence of the press release. What does Gorkha identity mean? It means a separate state that is Gorkhaland. If CM Mamata Banerjee has finally realised the longpending demand of the Gorkha people and their identity, Roshan Giri and Bimal Gurung can welcome and thank Mamata Banerjee and begin dialogue to resolve the Gorkha identity issue,” the BJP leader said over telephone from Delhi.